The Hera Deluxe is a racy 2 seater bench style hot tub that offers space & comfort within its 120cm x 150cm rectangular frame. Under the multiple layered acrylic shell lies a high density insulated foam cradled by a strong stainless steel frame for extra protection & structure. The hydrotherapy is delivered courtesy of 16 finely tuned jets fuelled by a 2HP massage pump. The unique T shape alignment of the jets delivers especially to shoulder & back along with the feet. The Hera Deluxe boasts a jets per HP ratio of just 8 which entitles the user to excellent hydrotherapy. The hot tub is reliably organised by a spa system designed by the world most respected Balboa Water Group. 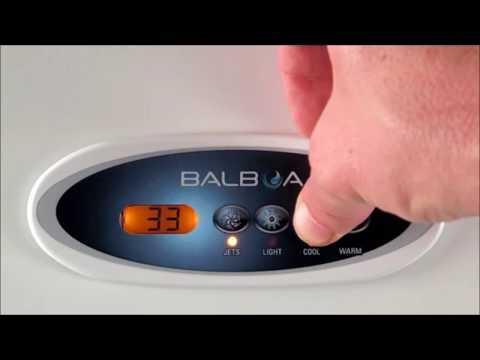 The Balboa system is nucleus of the Hera Deluxe with the heater , top panel & pcb all major factors for performance & efficiency. Extra features of the Hera Deluxe consist of water pressure adjustment together with the LED lights & Bluetooth audio for the perfect mood enhancement. The Hera Deluxe is also equipped with a pure water ozone system along with filtration to help maintain clear & healthy water. With 700 litres water capacity, the water will heat quickly with the 2KW(13amp) / 3KW(32amp) Balboa heater & retain heat better hence lower running costs. Alongside the enhanced insulated cabinet & high-density foam shell, the running costs are also aided by the compact ABS base. Maintenance is made simple with easy to remove cabinets along with an advanced drain system for swift removal & addition of water. 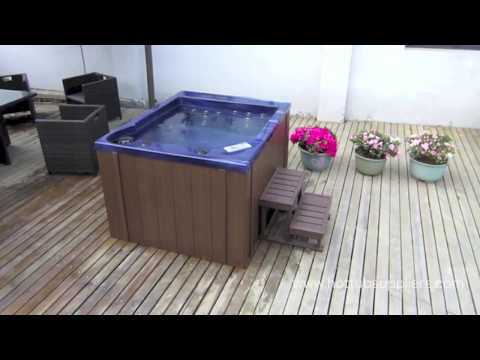 Complimentary steps & spa cover are included to conclude on of a hot tub that is high on quality but low on cost. Comfortable, deep & spacious, the bench style seating on the Hera Deluxe hot tub is structured to create the complete spa experience. The Hera Deluxe uses a closed cell, high density foam to insulate the base of the shell. The synthetic wood cabinet is triple insulated & alongside the hard wearing thick base & thermal spa cover, the Hera Deluxe has 360 degrees of protection. Our programmable filtration system allows full control of the filtration process with the extra-long filter of the Hera Deluxe hot tub standing tall to prevent the passage of any unwanted solid particles. The Hera Deluxe has a wide variety of hydrotherapy jets, specifically designed & positioned to deliver massage & relief. The Hera Hydrotherapy experience includes specially positioned massage jets for back, shoulder, feet & thighs. Performance is our obsession from our jets to systems and also includes the Bluetooth audio of the Hera Deluxe hot tub. The Hera Deluxe is controlled via a Balboa top panel, heater & internal control board. Easy to use & efficient, the control system also features programmable filtration plus economy modes to enable complete control of the spa.